Peak summing occurs under close geometry conditions and is a result of true coincidence summing. To identify these peaks, add the main peak (highest intensity) to the next most intense peak energy and look to see if such a peak exists in the spectrum; if this peak does not occur then try the next most intense peak, and so on. 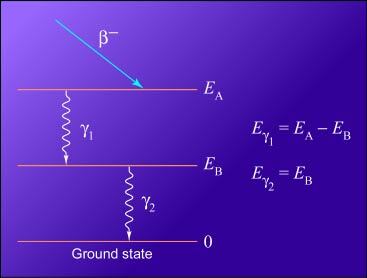 Summation effects are caused by the coincident detection of two or more gamma ray photons.